Getty Images / Larry BusaccaDreamWorks CEO Jeffrey Katzenberg. Hasbro is in talks to acquire DreamWorks Animation, according to a report from Deadline.com. Deadline reports that DreamWorks and Hasbro are in talks to create a combined family entertainment company that would be called DreamWorks-Hasbro, and says the deal is at least 60 days away from being finalised. 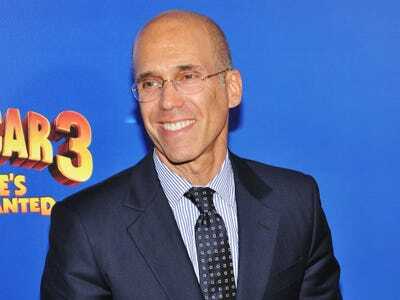 Deadline’s report said DreamWorks CEO Jeffrey Katzenberg is looking for Hasbro to pay $US35 a share for the company, which would be more than a 50% from the $US22.37 that DreamWorks shares closed at on Wednesday. The New York Times, citing a person briefed on the matter, is also reporting that Hasbro and DreamWorks are in talks regarding a deal. That report said only that Katzenberg is seeking a deal worth more than $US30 a share. These reports come about six weeks after The Wall Street Journal reported that Japanese conglomerate SoftBank was in talks to acquire DreamWorks, though the Journal later reported that these talks cooled for reasons that weren’t known at the time. The Times’ report on Wednesday also said it isn’t clear why those talks broke down. Deadline also reported that in a separate deal, DreamWorks is looking to form a joint venture with The Hearst Corporation involving its AwesomenessTV arm. DreamWorks acquired AwesomenessTV for more than $US100 million in May 2013. AwesomenessTV operates a network of YouTube channels. Deadline broke the news after 8:00 pm ET, which is when stocks no longer trade in the after hours, but shares of DreamWorks are likely to rise sharply on Thursday following the news. You can read Deadline’s report here, and The New York Times report here.